Within a few hours of Windows 7 being released my inbox started filling up with readers asking what Anti-Virus software they should install in Windows 7. 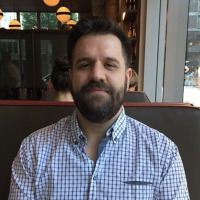 Since this seems like such an important topic, I decided to make a list of packages that work. 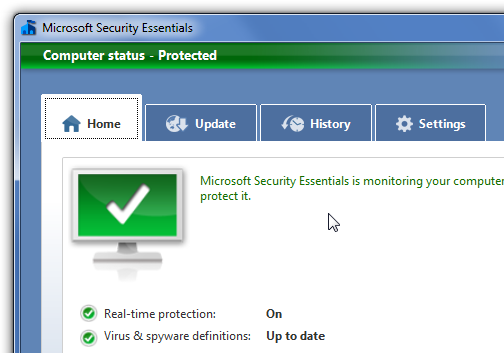 If you want something that’s going to work really well, and is totally free, you should check out the free Microsoft Security Essentials anti-virus solution, which isn’t going to slow down your PC. Note: as a general rule, software that works on Windows Vista should work just fine on Windows 7, with the exception of software that installs low-level system components like an Anti-Virus, firewalls, or similar. These packages often are designed to only run on specific versions of Windows. When you first install Windows 7, you’ll get a popup balloon message telling you that you need to find an antivirus program online… notice the wrench on the balloons that will let you turn them off easily. The packages should also hook into the Windows 7 update mechanism and let you know when your virus definitions are out of date. And now, on to the list… I took a screenshot of the Action Center screen proving that each package installs and is recognized properly by Windows 7, but I also ran through a couple of quick tests for each package. 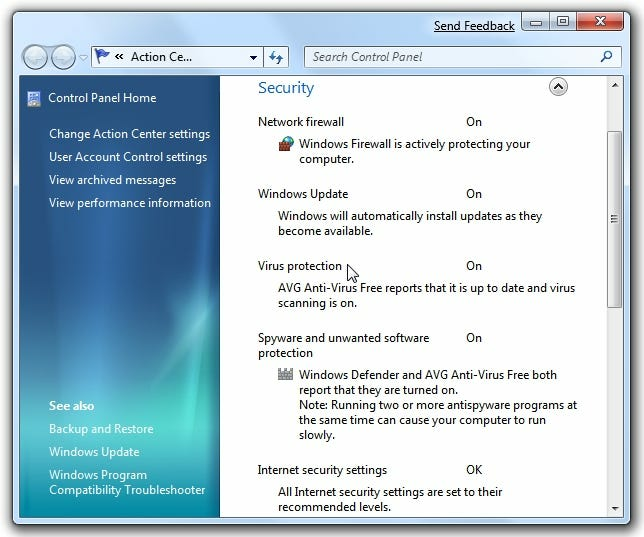 AVG Free is the most popular anti-virus software out there, and not only does it work just perfectly under Windows 7, but it’s on the list of a small number of software packages that are officially compatible per Microsoft. For more on this package, see Mysticgeek’s review of AVG Free. Avira is a popular freeware antivirus solution that seems to be a hit on our forum, with a number of the regulars in favor of it. This software works without any issues that I could find during my quick testing. For more on this package, see Mysticgeek’s review of AntiVir Personal Edition. Hardly needing an introduction, Norton AntiVirus 2009 works just fine. They are also on Microsoft’s list of compatible software for Windows 7. You’ll notice that this provides anti-spyware protection, so you’d likely want to disable Windows Defender for performance reasons. 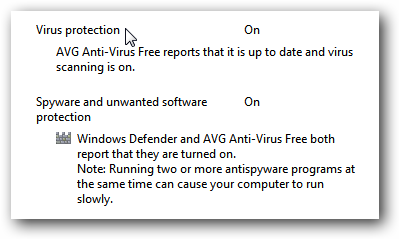 Another popular Anti-Virus package that we’ve previously reviewed, this one works just fine. You’ll notice that this package provides Anti-Spyware protection as well. I guess Microsoft still has some coordination problems. (Screenshot thanks to our forum administrator Scott). Note: OneCare is going to be discontinued in June 2009, with Microsoft switching to offering a free product instead. This antivirus software package is also on the Microsoft official list of Windows 7 compatible software. We’ve not reviewed it here because we tend to focus on free alternatives, but it’s well-known and preferred by a few of our forum members. You’ll note that my virus database is out of date in the screenshot above. The Action Center consolidates all of these messages together into one place – rather useful. Reported to be not working by multiple readers including Daniel in the comments. Just because all of these packages install and run doesn’t mean they are necessarily “supported” by the vendors. Ask the Readers: What Did We Miss?